India is one of the largest producer of Agro Waste Products and Agro Waste Fuels which is the alternative source for Power Generation. Power Generation is becoming more and more predominant with latest technological developments in firing systems. Rice Husk is the main Agro Waste Fuel. But the availability of the Rice Husk is restricted to season and suitability to the industry which are close to the vicnity of this fuel. Hence the power plant owners are looking for other Agro Waste Fuels like Julia Flora, Cotton Stalk, Chilli Stalk, Rice Straw, Wood Chips, Coal, etc. 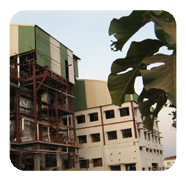 as fuels depending upon the availability of various Agro Waste Fuels. Modern agricultural techniques involves large amount of Fertilizer and Pesticides usage for better yield. Potassium and Sodium are the main constituents of these Fertilizers. When Agro Waste of these crops are to be used as fuel in the boilers for Steam Generation, the main characteristic of the ash content is high amount of alkalies mainly Potassium and Sodium Oxide. 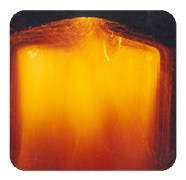 These alkalies causes Agglomeration and sintering of ash which leads to clinker formation when the combustion temperature in the grate is more than 1100°C. Ash analysis of various fuels indicates the presence of alkalies (base) which are mostly having high concentration of Potassium and Sodium Oxide. Presence of high silica along with these high alkalies creates problem of agglomeration as well as fouling on heating surfaces which are having more metal working temperatures. Fuels like Rice Husk, Bark, etc. has high silica content in fly ash which can cause errosion to the heating surfaces. 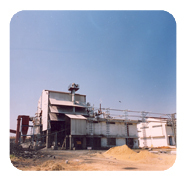 Convective – Travelling Grate Type Boilers – upto 100 tph. Atmospheric Fluidised Bed Combustion Boilers – upto 100 tph.